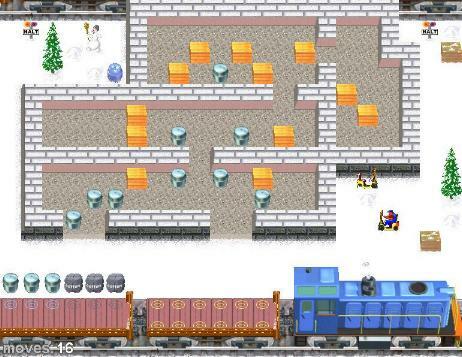 You'll be playing a clever docker who is working hard at such places as the seaport, railroad or the warehouse! 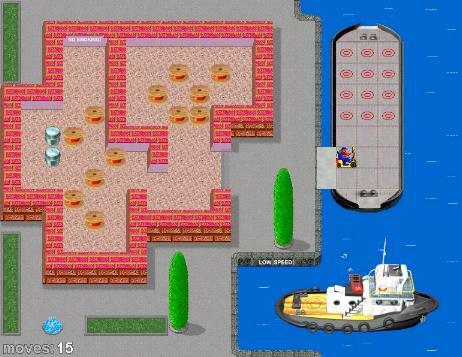 Docker Sokoban is a new remake of a popular logic game. 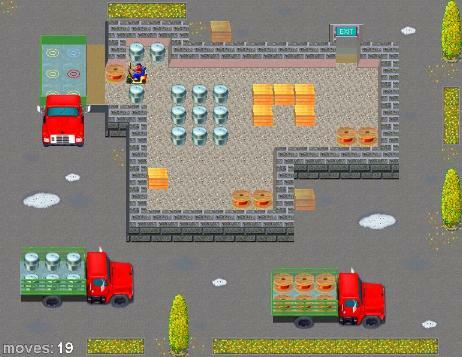 This time you'll be playing a clever docker who is working hard at such places as the seaport, railroad or the warehouse, The original innovations and high quality animated graphics will guarantee you and your children many hours of brain-bursting fun. Original innovations (such as different items type) . High color animated graphic with pseudo 3D projection. Quality sound and Pleasant background music. 45 levels within 3 stages. Possibility of unlimited undo moves . Walk-through solutions for all levels and friendly interface. Aerial Antics Circus - It is holding tryouts to find the best rocket pack pilots for it's new attraction!